Over the past few months I have collected a number of pictures on my phone of various things I've spotted around. I thought I would share them with you all. Some of these are pictures I have posted on our Facebook page. Please feel free to like that page if you haven't already (so I can FB stalk you). 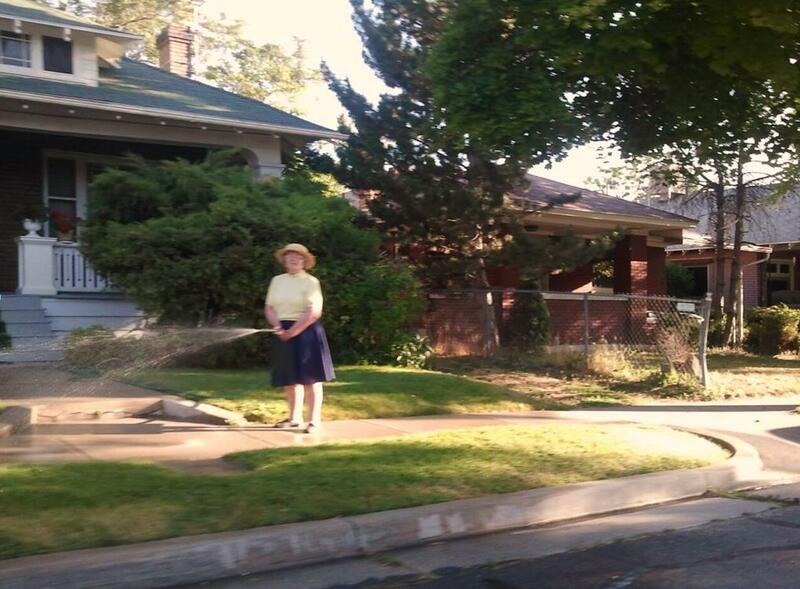 Woman watering the sidewalk in SLC . . .
That newspaper clipping?!? I think I need to move to where you live! I lived in a town once where people's pets giving birth would make the front page. thank you for the clarifying description of the woman watering her lawn. your pics cover many emotions, miles, and a variety of what is Beauty. And there is a mom somewhere that would look fondly at your last pic while whispering 'Hate that smell, Love that boy." I had the same thought. I love how different the pictures all are. It's funny- these pictures were just taken from your phone but they are really beautiful. They tell a bunch of stories about the life you run into every day. Some funny, some cute, some scary, some tired, etc. I would really like to follow you around sometime. The stories behind the photos are what make these so special. We live in an amazing age where we can see what others see. As I looked at the picture from your balcony, I realized you had taken a picture of the parking lot/creepy fenced-in alleyway next to it where I once worked cleaning these ostensibly human-constructed urban features and having strange encounters of the third kind with the homeless. Have you had any notable encounters with said sidewalk-habitated individuals near the SLC Library, or anywhere downtown? Neil, Not directly around my building, but I have had some interesting encounters on my 2 block walk to work. 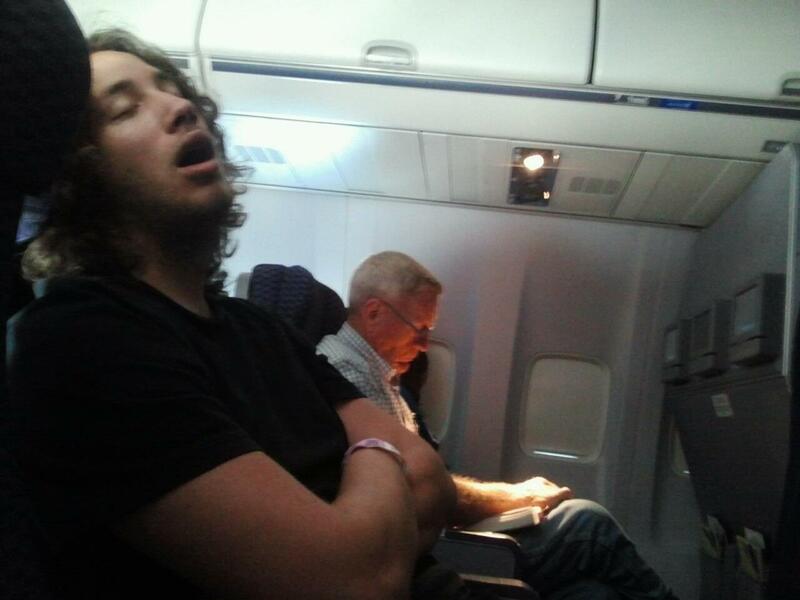 A few months ago one drunk man threw up on me. My shoes have seen better days. So has corn. Dude...My friend showed me your blog!! Its like your cousins friend or something weird. These are hilarious pictures! I love the drain that looks like a golf course. The Mayor Dan Snarr is a man I've known for a long time. I grew up on the same street as him!! that means you live in murray too!! Such a great place to live! me too!! he is an amazing man! He cracks me up! I laughed at the lady watering her lawn! who does that?!? too funny! thanks for letting me peak at your blog! !